My favourite teacher in high school had an interesting saying. If something was gross or disgusting to him, he used to say “It looks like a dog’s breakfast.” I have been thinking of him a lot lately, because when I look at the back of my hand-piecing, I think “it looks like a dog’s breakfast…how am I going to iron that flat? ?” So, here are a few simple pressing tips that everyone who hand-pieces needs to know. First, go put the kettle on and make a pot of tea. Everything is easier to do when you are drinking tea. Speaking of tea, my friend Kathy (an awesome and way-out-there quilter) gave me this tea pot for Christmas, along with an assortment of tea. My daughter gave me a Downton Abbey mug and Marilyn (a talented artist who designed my BOM “To Everything There Is a Season”) gave me a Downton Abbey tea towel, so I am all set! Now that I think about it, Marilyn gave me a Downton Abbey teapot last year for Christmas. Hmmm…. I see a pattern here! Next, I take my left hand and position my fingers on the connecting seam allowances, folding them in the same direction as the first one. Notice that all 3 seams are going counter-clockwise. That is about as complicated as it is going to get. Seriously! So, just remember this, we are only swirling 3 connecting seam allowances at a time. Do you notice what shape appears in the very centre when swirled correctly? It is a quilt block called “Building Blocks”. Magical! I am using Inklingo to make my hexies. It’s as easy as stitching on the line! I am going to do exactly what I did when I only had 3 hexies…press the first seam to the right…the one under the tip of the iron. So now I can see that the orange seam allowance is heading in a clockwise direction, so the connecting seam allowance have to follow in the same direction. Notice my index finger and my thumb are holding the seam allowances in place. Then I just pick up the iron and press. Here is the finished block from the back…. I finished stitching the corner block of Friends of Baltimore and dipped it in the sink to wash all of the ink and glue out. Now, I am finishing the next corner block. Cannot wait to finish this quilt! Once it is dry, I will trim it to the proper size. I am in the process of finishing the fourth and final (!) border of Sue Garman’s “Friends of Baltimore”. Once the flowers, vines and leaves were finished, I appliqued all of the tiny details, like the red berries, the yellow centers of the roses. The embroidery is done with just one strand of floss. Once that was finally finished, I did what I did to all of my blocks and borders once I am finished stitching them….I poured a warm bath, added some suds….and tossed the border in! Why do I do this? I do this because I use glue, starch and marking pens on my quilt blocks, so I want all of that to be removed before I stitch the blocks together. If you want, you can watch my Youtube video on Washing Blocks and you can also check out this post. After the border was dry, I auditioned it along side the rest of the quilt. I think Jenny and Bruin are pleased with the results! As you can see, I am not finished yet! I still have the remaining 2 corner blocks to do. Wanting to keep the momentum going, I started with the vase, an easy place to start. Next, I started to add some leaves to the vase. I have found this little tip to be very helpful when lining up mulitple pieces. I prep the piece as usual and then remove the freezer paper template. I flip the template over and place it on top of the prepped piece. Then I draw on the remaining seam allowance. As you start to glue the pieces in place, you can also see the emerging shape that will cover all of those raw edges (in this case, the rose). And now I can start to fill in the rest of the vase. Lovely! My addiction to Inlingo continues. When I printed the my first set of hexagon shapes, I thought I might just stitch a few together and make a small project like a table runner. Well, my pile of hexies has magically grown and I think a full sized quilt is in the making! I can’t seem to stop making them! If you have been reading my blog, you know that I made a Grandmother’s Flower Garden quilt last year. I bought some paper hexagon shapes and away I went! You can read about that here. I basted the fabric onto the paper templates and then whip-stitched the pieces together. I even tried glueing the seam allowance in place but found it very messy and the paper templates popped out before they were stitched together and that irritated me. I am linking up to Slow Stitching Sunday. 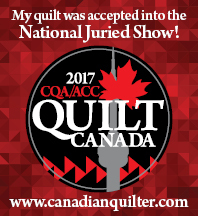 Check it out and see what other quilters are doing on this cold, wintery day!